There is one thing that I find really annoying – my brain struggles with processing and problem solving since my stroke. After my stroke, I was assessed by a psychologist as I was rapidly going towards a depressive state. My brain function was tested to see what areas may have been damaged. It turned out to be mainly processing and problem solving since my stroke that had been affected. Have you any idea how much we use problem solving and processing? At first, trying to understand the simple things was hard enough, even emotions. I remember writing positive words on a whole load of post it notes, and sticking them all over my office wall. Sometimes I carried around a sheet with me which had lots of emotions and emojis on it. I just couldn’t understand what the different feelings meant. Finishing my sentences was sometimes a problem because I couldn’t remember words! We have decided to use WordPress to set up our new website. We put out to tender for web developers to assist us with creating a new, vamped up, Eat On Warfarin website. One quote came back as £100K… unbelievable! So we decided that WordPress was the way to go and hopefully it won’t be too long until we have a new website available which is not as clunky as our current one. But trying to work out this WordPress is a bit harder than I was led to believe. I was told it was easy to set up, regardless of how computer savvy you are… eh? … NO! Much of this has come back now and I have relearnt the emotions I struggled to understand. Sometimes I chose to relabel emotions with terms I preferred. So instead of talking about stress, I relabelled it as struggle. A struggle is easier to get through than dealing with stress. 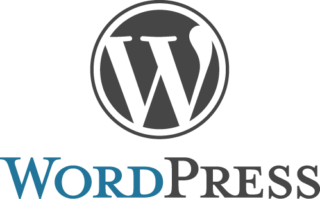 At times when I am trying to understand something like setting up WordPress, I still really struggle. I can’t work out the steps I need to take, nor do I have the patience for going through the steps. I do have a lot more patience than I did when I wasn’t feeling great, but it’s still a daily struggle. So maybe WordPress is easy, and maybe not!